You can never go wrong a few body or hair care products when buying presents for a beauty lover, especially when they have cute packaging like What's in it for Me! They also make great stocking fillers too if you're struggling with that. I've been obsessed with the What's in it for Me body cream recently - containing orchid, ylang-ylang and violet oil, it smells absolutely incredible and, of course, makes your skin feel super soft! It's perfect for this time of year when good body creams are most definitely appreciated. They also do a few other products including a body scrub and hand cream which are available to purchase from Fragrance Direct and Harvey Nichols. If you're behind on Christmas presents then you NEED to check out Coconut Lane! They have everything from stationary to home-ware and it's all absolutely gorgeous. I particularly recommend you check out their site if you know anyone who loves marble... their marble printed collections are some of my favourites. I've put together a collection of some of my favourite items from coconut lane which you can view by clicking here. If you do find something you like, you can use the code 'HALEBLOG20' for 20% off! If you're looking upmarket for a gift then House of Kind might have what you are looking for. They sell some beautiful, high-quality products such as jewellery and home-ware that would definitely make some special Christmas gifts, plus everything is ethical and cruelty-free! A personal favourite is the candles and diffusers collection and I feel like a lot of people would agree; who doesn't love a good candle?! House of Kind has been kind enough to offer our readers a code to receive a free tote bag for every order over £30 and even contribute a % of sales to Coppafeel charity. 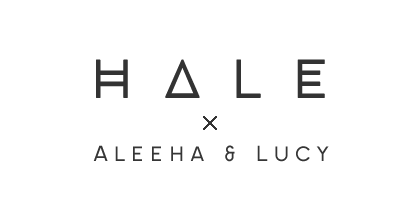 Use the code 'HALE' from the 12th to the 15th of December! Last, but not least, one of my favourites: CaseApp. 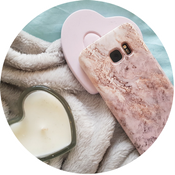 I honestly had to mention them in a Christmas gift guide - they do some of the best phone cases and laptop skins. Such high-quality products with gorgeous designs and the option to design your own custom skin or case! Lucy and I decided to get a laptop skin for our best friend, (shout out to Holly, 😉) and I also decided to get my mum a phone case. They both absolutely loved their gifts and I'll definitely think about getting them as gifts for other people too! If you decide to purchase something from CaseApp, then you can use the code 'HALE20' for 20% off. We've been lucky enough to collaborate with CaseApp a couple of times before so if you would like to see some of our previous designs click here and here. Thanks to CaseApp we have another giveaway for you and, as it's the festive season and time of giving, we think it's the perfect time to hold one! The winner will receive a code to win one free product from CaseApp (pre-designed or custom). The giveaway will run for 3 weeks and end on the 2nd of January. Once contacted, the winner will have 4 days to reply before a new winner is chosen. There are 4 ways you can enter and they are all super simple. Comment down below - make sure to leave either your blog link, email or a social media handle so we can contact you if you win. Via Twitter - click here to see the Tweet for more information. Via Instagram - click here to see the photo for more information.